Once upon a time, there was a young boy. He would grow to change the world of the shinobi as we knew it. He would be the first man since the Sage of Six Paths to learn the names of each and every Bijuu and fully master the power of the Nine Tailed Fox. He'd End the Fourth Shinobi War by means that seemed impossible. The name of this boy was Naruto Uzumaki, son of the Fourth Hokage. This story would be told down through the ages in shinobi academies and read to children by their parents like fairy tales. Surprisingly, this war led to a time of peace, that lasted for one hundred years. It was a time of union between nations, civility in the world. But, like all good things, it came to an end when a Tsuchikage rose to power. The seventh Tsuchikage was a power hungry madman and like all ambitious men, attempted to claim power that he had no right to. In secret, he grew his militia and forces, sent spies to other nations, and infiltrated the five great nations. When ready, he struck. First, he attacked the Village hidden in the Sand and because of their unpreparedness, the Eighth Kazekage fell. But, with her last breath, she ordered a call for the Fifth Shinobi War. Within a period of nearly an entire week, the Village hidden in the Sand was taken and seized by Iwagakure's forces. They assimilated the village and violently coerced any remaining shinobi into their army. The battling had been so intense, that once the villages were free, Konoha and Kiri both rested in the freed nations, only sending a few of their shinobi back home in order to recooperate and With the troops renewed, all four villages came together and took on Iwagakure. The Hokage and Mizukage both took on the Tsuchikage in a battle that became almost as legendary as the fight between Madara and Hashirama. In the end, the Hokage delivered the killing blow and with the ending of the Tsuchikage's life ended the war. But, this war was not without cost. By the end, all of Iwagakure was in shambles. Flames ravaged all of the buildings that lay in ruins. Dead bodies plagued the ground and Iwa remained lifeless. The win was empty because such a tragedy could not be prevented. So, the Hokage and Mizukage gathered their forces and freed the Raikage from imprisonment and the kage returned to their respective lands. Now, twenty more years ahead, much had changed. New shinobi were rising up again and a new generation was ready to take over. 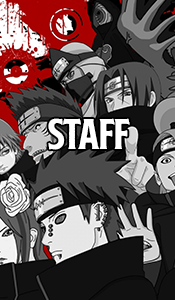 Kages had changed again and villages began to flourish once more. Iwagakure had become something of a wasteland. Few people if any lived there, some still trying to rebuild their old homes. This history is undergoing changes to be more AU. Please be on the lookout for a new post or topic during the day before making character histories regarding plot. Also, be sure to make changes if necessary when the changes are up.